Description: 160 acres 11 miles northwest of Arnold, Nebraska consisting of 150 acres of pivot irrigated cropland and 10 acres in dryland corners. Excellent quality farm in a good farming community. From Arnold, Nebraska the property is located 6.5 miles west on Hwy #92, then north 1 mile, west .5 mile on CR 40, north 2 miles on Ave 210, east 1 mile on CR 60, then south .5 mile on Ave 220 to the northeast corner of the property. SE1/4 Section 9-T17N-R26W of the 6th P.M., Logan County, Nebraska. The property is comprised of 150 acres of pivot irrigated cropland with 10 acres of corners in dryland cropland. 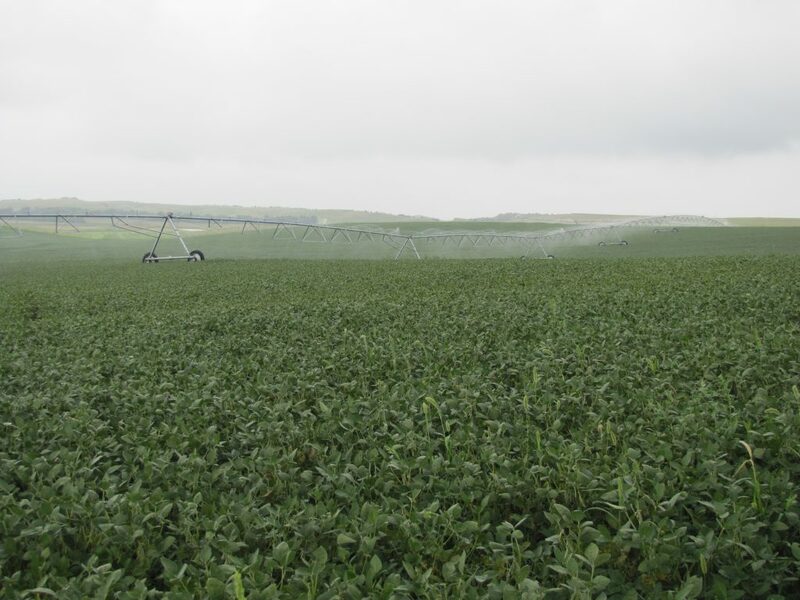 Upper Loup NRD reports 159 acres certified irrigated, with no pumping restrictions. All Holdrege and Hord silt loam soils. and JD Diesel engine new in 2015. Well Registration G-167339, and pumping 1,000 gpm. Excellent quality farm that is very productive and located in a good farming community.